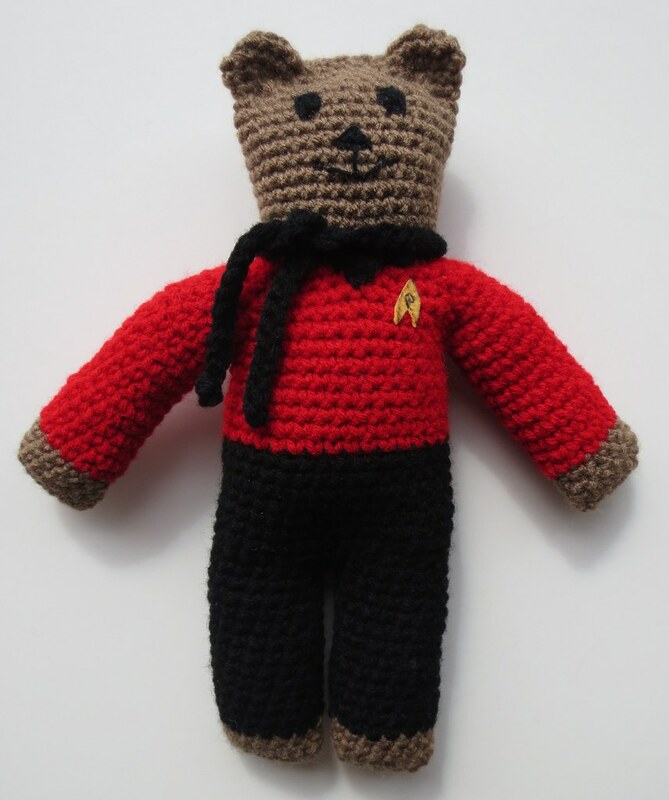 Each month the Mother Bear group over at Ravelry features a theme for the Mother Bear Project. 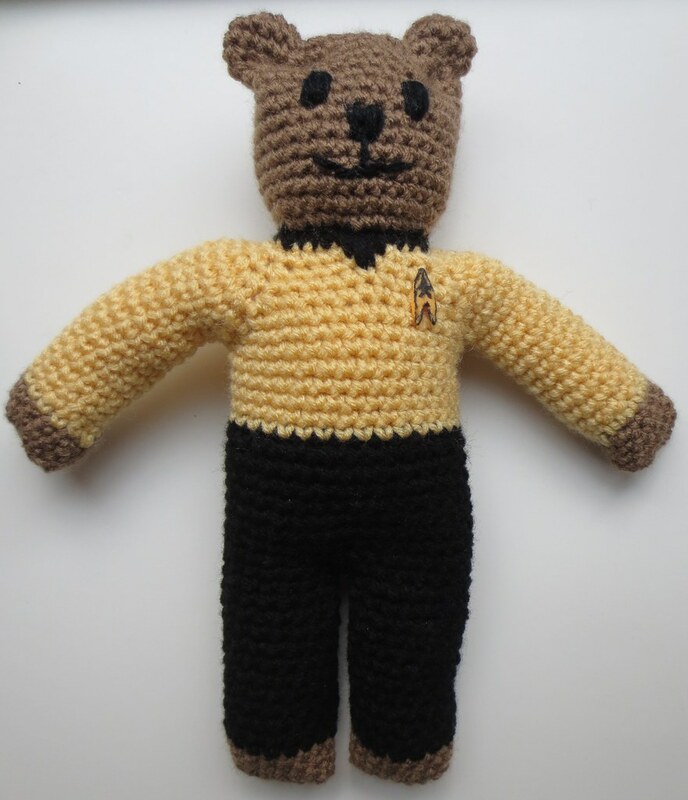 I wanted to share these two Star Trek characters I crocheted. Meet Mother Bears James T Kirk and Scotty Scott of starship Enterprise. I tried my best to copy their uniforms from the original Star Trek series including the emblems on their uniforms.